David Gilmour is recognized the world over for his revolutionary and incomparable sound with the legendary Pink Floyd and his work as a solo artist. When you hear the tones coming out of his red Strat you're hearing his signature EMG Pro Series system, the DG20. This set utilizes three ivory EMG SA Alnico single coil pickups, an EXG Guitar Expander for increased treble and bass frequencies and an SPC presence control to enhance your Strat's earthiness and mid-range (EXG and SPC tone controls are continuously variable from flat to maximum effect). 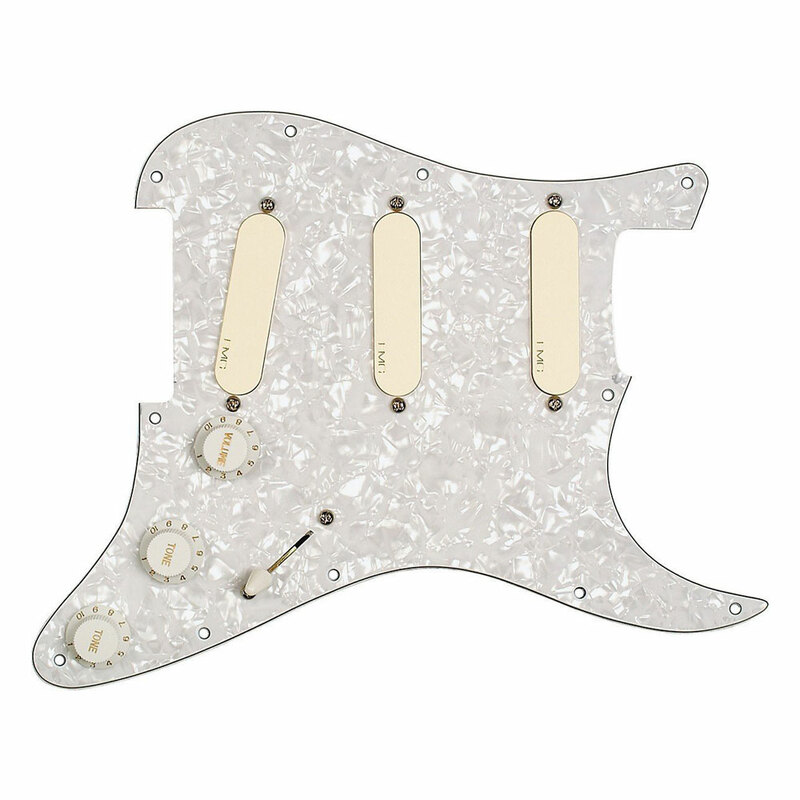 For ease of installation the set comes prewired on an 11 hole white pearloid Stratocaster style pickguard with a master volume and 5 way selector switch (complete with white strat style knobs and switch tip).